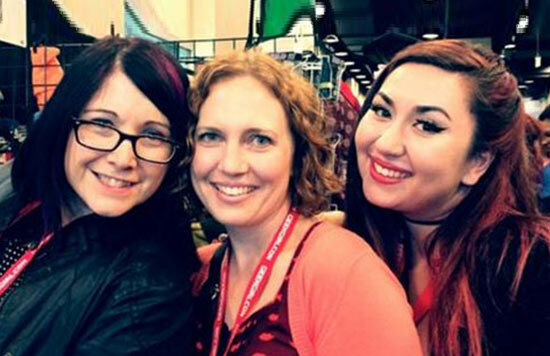 Nerd For A Living was thrilled to return to Seattle for our third GeekGirlCon. This episode captures one of our N4AL panels, The Business of Self Promotion: Marketing Your Art or Small Business Online. The panel was presented as part of the GeekGirlCon “Connections” track for business and education related programming. Nerd for a Living’s marketing director Wendy Buske hosted this discussion of how an individual or small business can work to establish their brand and promote themselves online. She was joined by Amanda Nuckolls, owner and chief executive gnome at GnomeAcres, and Christal VanEtten, the Cenobite Whisperer & Social Media Puppet Master for Espionage Cosmetics. These three ladies have extensive experience in marketing, branding and promotion – whether with their own businesses, working for advertising agencies and digital marketing companies, or for clients or companies of all scales and sizes. 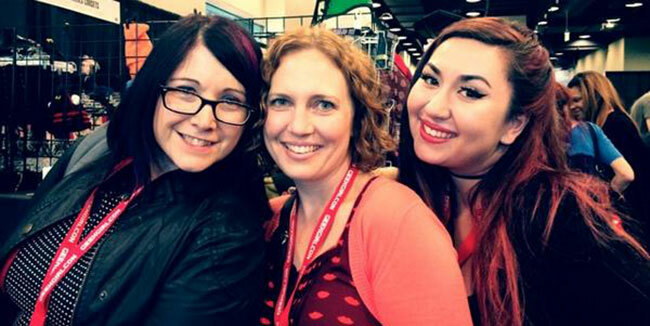 They delivered their knowledge to a packed, standing room only crowd at Geek Girl Con. (Check out Distracted Blogger’s coverage of the panel.) The room was so full that the con staff had to turn people away, so we’re very happy to be able to share their presentation via podcast for everyone who couldn’t get in, and of course everybody who wasn’t at the con. Big thanks to Geek Girl Con for having us, and to Christal and Amanda for joining the discussion! Listen to the N4AL podcast with Amanda. Christal VanEtten is the press and social media coordinator — otherwise referred to as the Cenobite Whisperer & Social Media Puppet Master — of Espionage Cosmetics, an all nerd, woman-owned business based in Tacoma, Washington, creating make-up for nerds, by nerds. Founded in 2011, the company has seen enormous growth in the niche nerd market. Since its inception, Espionage Cosmetics has expanded from a living-room operation to a Tacoma-based studio space with 8 full-time employees. Not only did the expansion occur at home base, but the company’s online presence and branding have both gained significant momentum in the last several years as the online marketing team grew. Visit the Espionage Cosmetics website. 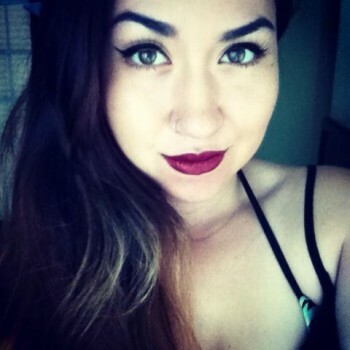 Listen to the N4AL podcast with Christal and Espionage Cosmetics. 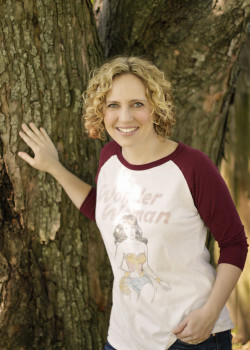 Wendy Buske is the marketing director and podcast co-host for Nerd For A Living. She’s also a Digital Producer at St. Louis-based award-winning advertising agency, Rodgers Townsend. She has over 7 years of experience in digital advertising and development, producing work for big league clients like AT&T, Purina, Charter Communications and many more. In these and previous positions within the marketing industry, she have been involved in a wide range of projects from strategic inception through launch. 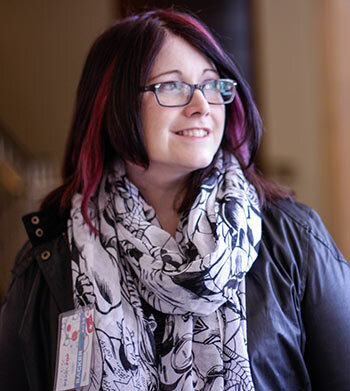 Wendy as been a project manager, strategist, producer, copywriter, QA specialist, media buyer, content manager, email marketer and social media tactician – sometimes all at once. It’s been a very hands-on education in how to build an online presence, and she’s excited to learn more every day. Before she became a full-time digital professional, Wendy followed her first passion as a professional cook at an independent vegetarian restaurant. She makes a damn fine quiche and even better coconut curry soup.